The Commissioners of the Oswegoland Park District Board believe that all residents should be able to participate in Park District or FVSRA classes and activities, regardless of their ability to pay. If you or your child would like to participate in a recreation program, but feel you can’t afford it, please email Tom Betsinger or call 630.554.4460. 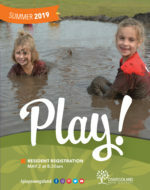 If your child would like to attend Kid’s Connection, Junior Kid’s Connection, Camp Connection, As We Grow Preschool, or a Youth Varied Interest program, but feel you can’t afford it, please email Cheryl Keilson or call 630.554.4484.